Lee Strock, Executive Director of PCYP, with Edie Windsor, Joy Tomchin, and Peggy Farber. It was a packed house and raised over $30,000 for PCYP. On a rainy evening a week ago, a hundred or so folks packed into a beautiful home in Chelsea to support a deserving and hard working organization: The Peter Cicchino Youth Project. 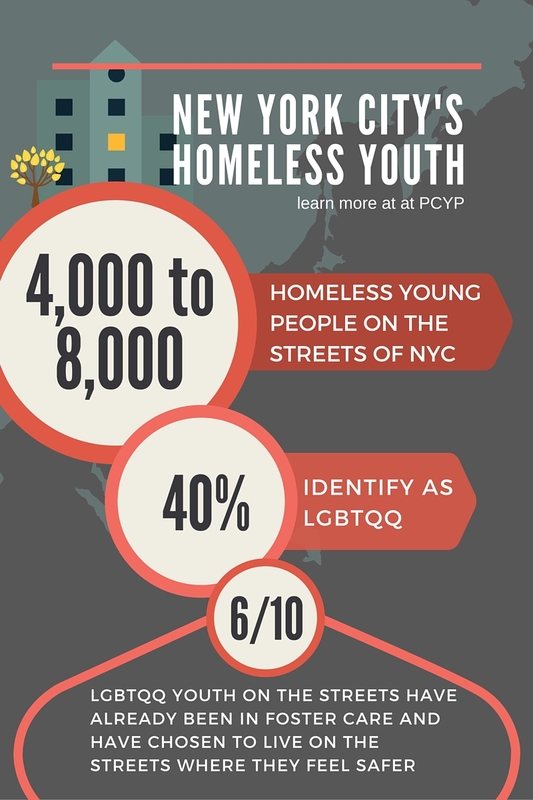 PCYP provides free legal services to NYC’s homeless youth, helping them with the big issues, and the small issues. Access to legal services is a critical privelage that our nation’s most vulnerable youth lack just at the time that they need it most. From name changes, to document procurement, to dealing with tickets, arrests, and immigration, PCYP fills a critical gap. Without these attorney’s many would have no access to or hope for justice. The evening was a celebration of this work and a chance to raise awareness and funds. 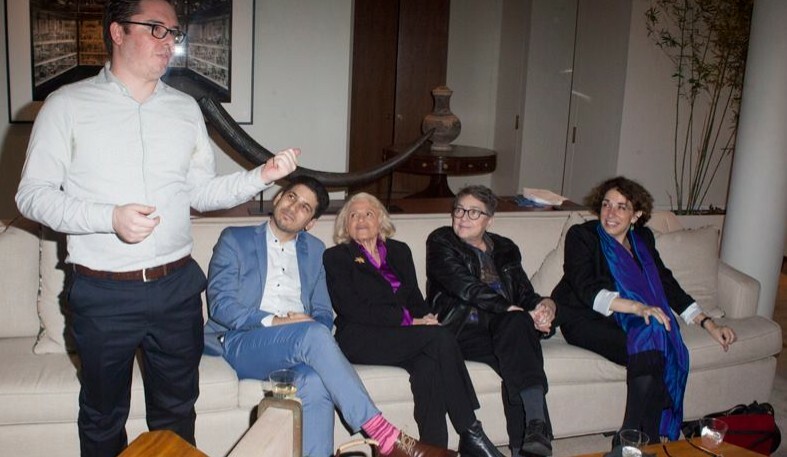 We were joined by Edie Windsor who reminded us that the fight for equality must be about equality and justice for all. She reminded us that what we’ve faught for, and what she’s faught for, are not whole without also fighting for our most vulnerable. I made this so you can easily remember some important stats about homeless youth in NYC. Feel free to share. This entry was posted in Goings On. Bookmark the permalink.